The continued functionality of distributed levee systems worldwide is critical for the millions of people who live behind these structures and the further millions that depend on clean drinking water supplies and agriculture protected by flood-control infrastructure. Maintaining these systems has been an increased concern in the wake of natural disasters such as Hurricane Katrina in 2005. The variability of properties within geotechnical systems makes predictions of soil behavior extremely difficult, especially when soil models are not calibrated with field measurements. Accordingly, a need has arisen for a system capable of in situ, real-time monitoring of levees, embankments, and other earthen structures. The work presented herein highlights the development of new sensing technologies for use in a framework to monitor, manage and ensure the safety of geotechnical infrastructure. MEMS (Micro-Electro-Mechanical Systems)-based in-place inclinometer system, Measurand’s ShapeAccelArray (SAA), is now established as a sensing tool for simultaneous measurement of 3D soil acceleration and 3D ground deformation up to a depth of one hundred meters, with an accuracy of ±1.5 mm per 30 m. Each sensor array is connected to a wireless sensor node to enable real-time monitoring as well as remote sensor configuration. This system can also include digitally integrated pore pressure measurement in the form of vibrating wire piezometers equipped with microprocessors (called SAAPs). The SAAPs convert vibrating wire data to digital data downhole, and they integrate easily into the SAA system. In situ testing was conducted in several levee sections in New Orleans, LA, USA. The sites were also instrumented with other sensors from Geokon, providing values for comparison. The preliminary testing indicates the suitability of this new multi-parameter system for inclusion in a multi-scale monitoring and health assessment framework, which will be implemented in New Orleans, LA in the near future. The SAA development was partially funded by the National Science Foundation (NSF) sensor program (Grant No. CMS-0330043) and is manufactured by Measurand, Inc. This NSF support is gratefully appreciated. The authors wish to thank Lee Danisch, Terry Patterson and Christiane Levesque of Measurand, Inc. for their contribution to these projects, including their efforts toward all the field installations. 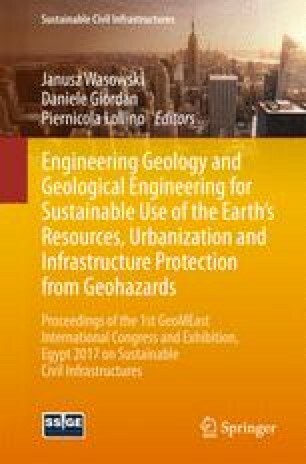 The authors would like to acknowledge the valuable collaboration with Geocomp Corporation. The authors would also like to express their gratitude to the engineers, drillers and maintenance staff who participated in these field installations, without whom this research would not have been possible.